Awesome price adjustment on this huge, custom waterfront pool home in pristine condition on Southern exposure triple lot. This home is absolutely amazing. As soon as you walk in, it feels like home. 3 large bedrooms, 3 full bathrooms, new kitchen cabinets and counters, new AC in 2017, built-in speakers throughout so the music flows through the house, awesome outdoor kitchen with built in electric grill, adorable water feature for the pool, concrete dock on a freshwater canal that connects to Weatherly Lake for kayak enthusiasts. 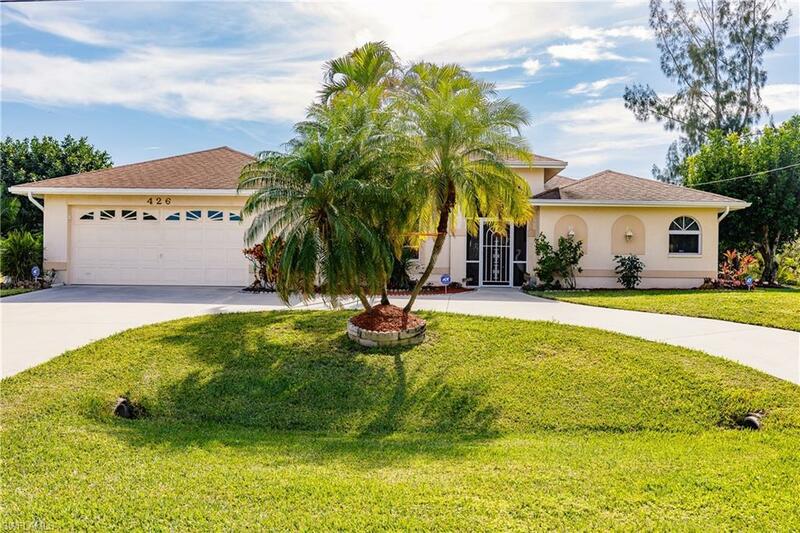 This luxury style home is tiled throughout with new ceiling fans in the main rooms, an electric pool heater and gorgeous curb appeal with mature, well maintained landscaping. There really is so much more to this home that you must see it in person to experience its awesomeness. And oh by the way, for your viewing pleasure, there are turtles and fish that hang out in the water at the dock so you can enjoy some pretty cool Florida nature right in your own back yard. Schedule your showing today and make this one of a kind home your new private paradise.